A few months back I wrote a post answering a reader question about why Four Seasons doesn’t have a loyalty program. Personally I think they’re missing out on a big opportunity by not having a loyalty program, but at the same time I see why they’ve resisted. For years, Four Seasons management has said that they wanted to introduce a loyalty program, though they’ve made it clear that the emphasis would be on recognition rather than rewards. In other words, the goal of the loyalty program would be understanding guests’ preferences rather than rewarding them points towards free stays. The challenge is introducing additional recognition without diluting the experience of less frequent guests. At the same time, credit card co-brand agreements can be huge money makers for hotel groups. Can you imagine how many people would love to carry around a Four Seasons credit card that earns them rewards towards a Four Seasons redemption? The card wouldn’t even have to offer outsized value, but rather they have a pretty loyal and captive audience, so I think they could do really well with such a card. It looks like Four Seasons is finally introducing a formal recognition program, though it’s not a rewards based program. Reader Stuart forwarded an invitation he received from Four Seasons to join their invitation only “Four Seasons Card” program, which they have “created for [their] most elite global travellers to ensure that same level of care and attention at every one of [their] hotels and resorts worldwide.” Stuart shared with me that he stays an average of 50-70 nights per year at Four Seasons properties across the world. 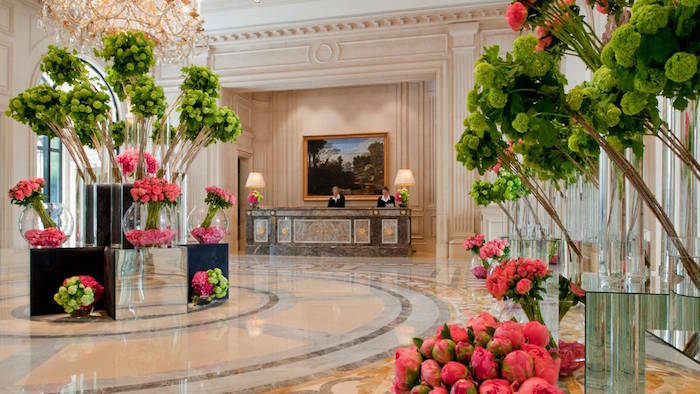 As one of our most important guests of the Four Seasons we do our utmost to ensure that all of your expectations are met or exceeded. 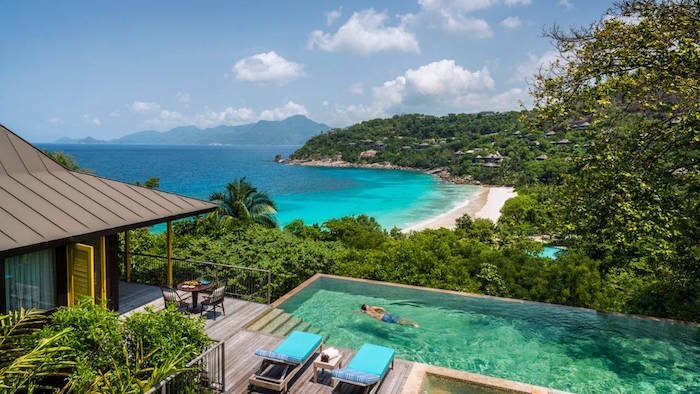 I am delighted to let you know about an exclusive new service Four Seasons has created for its most elite global travellers to ensure that same level of care and attention you enjoy here extends to every one of our hotels and resorts worldwide. The Four Seasons Card is invitation-only. This service offers you and anyone who arranges your travel an Elite Contact dedicated to customizing your experience at every Four Seasons property. With this card you will enjoy our legendary personalized service and recognition to make each of your visits with us, the world over, truly exceptional. Only a very select few of our global guests will receive this new card and as one of our most important guests, I would like to invite you. Your personalized card from Four Seasons President and CEO, J. Allen Smith, will be arriving in the coming months. You may start to enjoy the benefits of the service right away whenever you book or stay with Four Seasons by contacting your Elite Contact below. Please share these details with your travel professional, personal assistant or family members arranging travel on your behalf to ensure you benefit from seamless access to this new service, no matter who books your travel. This sounds like an interesting program, and I’d be very curious to hear what the recognition is like. This sounds somewhat like the Starwood Ambassador program, where you have a dedicated ambassador who ensures your experiences across the world are seamless. In reality I suspect this may also come with prioritized upgrades, customized welcome amenities, etc. As of now this isn’t actually useful on a large scale since it’s invitation only, though I’d be curious to hear if invited members find their experiences to be different. 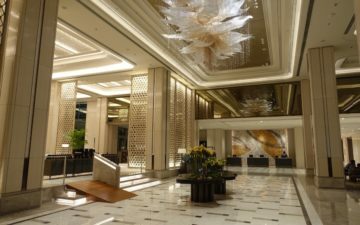 Even if they don’t introduce a formalized points program where you earn rewards for your stays, Four Seasons really seems to be missing out on a huge opportunity by not having a co-branded credit card. Has anyone else been invited to Four Seasons’ invitation only guest recognition program? Barclaycard Arrival Plus Card Offering Best Sign-Up Bonus Ever! Ugh, way to start out the email with a dangling modifier, Four Seasons! Shameful. Why do I get a feeling that another famous travel blogger will be all over this? Somehow he will make sure he gets this card. 🙂 Four Seasons has agreements with many top financial companies (Wall St banks, hedge funds, etc..) where employees from these firms only stay at Four Seasons, Ritz and other top hotels. That is probably the case of this reader that got the invitation. I have a friend that works in one of the big banks in Private Wealth Management and it is part of her job to “impress” potential customers. You don’t want to invite a potential client that will probably invest $ hundreds of millions with you to have a coffee at the Hampton Inn, right? Thus, she only stays at Four Seasons or other top hotels but they have special rates that are way more affordable than what one of us would have to pay to stay at a Four Seasons. I was invited to a similar program a few years ago before it was discontinued. No free nights or suite upgrades. Rather it was credit for things like cars from the airport and spa credits. What Four Seasons did well was remember your birthday with a cake in the room etc. I switched loyalty to Hyatt. As a diamond member the benefits are much better, especially when traveling with family. Park Hyatts are as good as Four Seasons and even Grand Hyatts remember preferences. Four Seasons needs a proper loyalty program. In the age of big data, does the Four Season really think they can keep track of guests and their preferences and details without a loyalty number? This is a move to keep them relevant. Nothing cutting edge here. I am the one who gave Ben this heads up and sent him the info so that I would respond on your thoughts as to my profile. In fact I am a private business owner in the fine arts field. I assure you I don’t “do” banking, lol. As well I do not get “bargained” rates at FS and just look for promos as much as possible like the normal guy….the 3rd or 4th night free being my favorite one and usually a good option that lowers rates significantly (almost) in line with JW Marriott on Interconti in some locations. I wish I could tell you I was the high roller guest as you mention that this card might be targeted for – but I am more to the line of a loyal Four Seasons customer who grabs the cheapest published rates like the rest of us and looks for a good value to luxury ratio. Regarding other comments, I have promised Ben an update of anything different I notice at my upcoming stays. If it is simply just a card and a person to call for bookings it offers me nothing – as I prefer booking online. Quite frankly FS has always been very good at recognizing my preferences across the world at hotels and keeping data on my stays and, as well, offering me upgrades and amenities at check in. I will be curious like you to see if anything additional becomes available. I agree that in some cases Park Hyatt does offer a better value (and points) than FS in select markets. But, properties are limited in location and, as I am writing this from the Park Hyatt in Paris I can tell you that not all are created equal. This particular location is tired at best and not even remotely close to the same category (imho) as the Four Seasons. FS does a much better job overall in most cities and is far more consistent. I personally see Park Hyatt as the niche between Grand Hyatt/JW. Marriott and Four Seasons/Peninsula. Grand Hyatt properties to me are nothing more than a Hyatt with an additional restaurant inside and a few more amenities. They are not consistent at all in my mind (Dusseldorf is awful, Sao Paulo is superb). Surprised you don’t call this out as bogus. Only defined promised benefits like SPG and Hyatt guaranteed upgrades are worth the promise. Fake “recognition” program is not worth the paper it’s printed on when there are no actual guaranteed perks. FS already provides perks to frequent guests. I’m also a business owner who travels a reasonable amount. I’ve been fairly loyal to the FSs brand (15-20 nights most years) for the twenty years plus. Total spend is not really that much when compared to an enterprise customer. 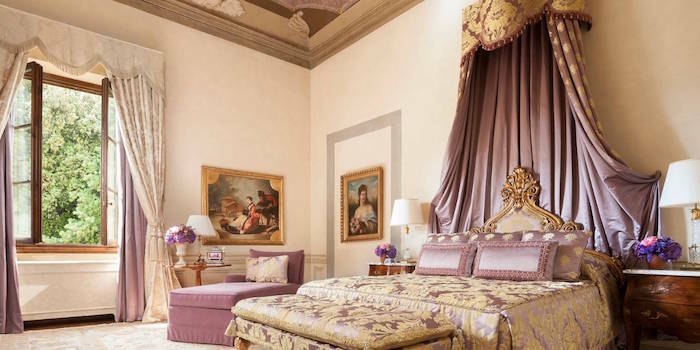 In my experience, what the Four Seasons has done particularly well for a very long time (paper upgrade certificate days), in addition to providing an excellent quality of product, is consistently recognize and reward long term, loyal guests in an understated, sophisticated manner. I’m always recognized at check in as a premium guest, upgraded to a suite often enough that when it doesn’t happen I’m surprised, welcomed by a note and a small gift in the room, and often the manager will come out to introduce him/herself. I’ve received these benefits from them the past ten years plus and it’s what has kept me loyal to the brand. In the early years, I attributed this to a case of mistaken identity but I’ve come to realize they do in fact have a loyalty program, it’s just not published. I agree, but I would say I get upgraded to a suite far more with Four Seasons than I do as a Diamond member at Park Hyatt, further I am not sure where four guaranteed suite upgrades a year constitutes all the time and, further, depends on availability at the time of booking. As well, you say it yourself, FS already provides perks…indeed…many more than SPG or Hyatt with no fuss or promotion about it. It is still left to be seen if this card will come with more tangible perks. I am expecting the card in the coming days so perhaps that will shed more light on it. Yes, FS is amazing at already recognizing and knowing exactly our trends throughout the entire network. I am shocked at checking in to a property I have never been to and they seem to have all of my room preferences and quirks down perfectly. Right down to a bucket of diet cokes in the room, lol. I am not sure if this card may just be a vanity piece in the end…but we will see as I can’t imagine what more they can do for me. Do I detect a hint of FOMO in this post? I just experienced an interesting perk of the elite card. This afternoon we organized a meeting at the Georges V in Paris and both lounge and bar were full. Left but she keeps it for gusts of the hotel only and we were not staying there. The gentleman I was with opened his wallet and showed her his Elite card. All of a sudden she ushered us to the best couch area in the lounge and welcomed us profusely. Unexpected perk but it allowed us to hold the meeting unannounced in an otherwise very busy FS property. Card received. Haven’t used it yet, but will be able to in November in Asia and again in December. Recognition of frequency and preferences has already been quite good at FS, particularly when booking via a FSPP agent. Great if the stays get better! FS is allowing its TOP (not all) Preferred Partner agencies to extend the card to their top clients. The card recognition is combinable with PP agency benefits (first priority for upgrades, welcome amenity, daily breakfast, a property credit, waitlist priority and early/late check-in departure). The elite card DOES come with a loyalty number so the properties can more easily share preferences with each other (a problem they’ve had for years with their reservation system). In addition to the PP Agency benefits, the welcome amenity will be “amped up” with more flexibility to get creative instead of the standard bottle of wine or dreaded fruit basket. The benefit Elite Card holders who book through a PP agency will probably enjoy most is more opportunity for upgrades at time of booking. There will be many other non-published benefits that will allow more personalized experiences as well. The elite card + preferred partner benefits will be super competitive with other luxury hotel loyalty/recognition programs.